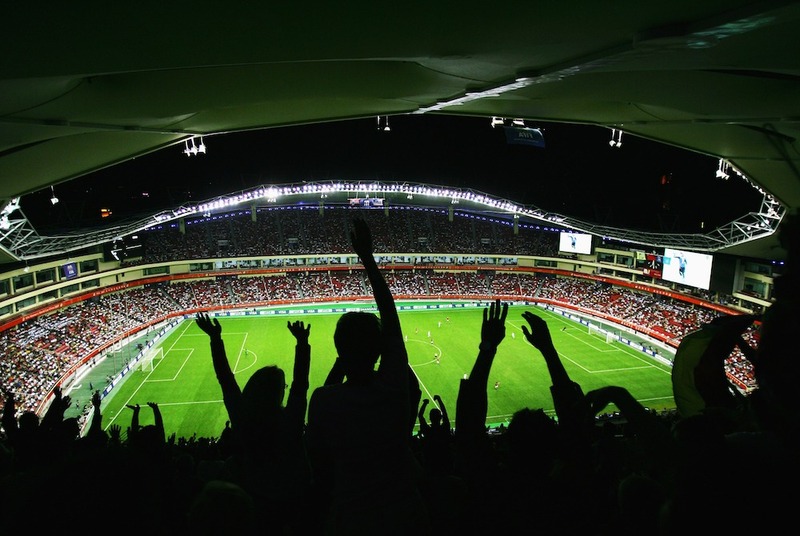 China has an aim to become a ‘soccer superpower’ by 2050 – an ambition rapidly coming to fruition through the riches of the Chinese Super League and the fervour of the country’s burgeoning football fan base. While the CSL is working hard to tap into this domestic passion, English Premier League clubs are also working hard to exploit the opportunity. Manchester United and Chelsea, for instance, have an established following, in part due to their support of youth football in China through their sponsors Chevrolet and Yokohoma. However, not all Premier League clubs can tap into the market with this level of deal. Outside of these biggest clubs, which are building their brands across Asia, lower-level teams have an opportunity to use social media to build their fanbases – and commercial opportunities – in the Chinese market. At Sports Revolution, we have been doing this with Stoke City and West Bromwich Albion. In today’s internet age, gaining new fans means building a social media presence. But doing so in China presents a unique challenge. Not only is it difficult for fans to watch matches live due to the time difference, conventional social media platforms used by clubs are unavailable – there’s no Facebook, Google, Twitter, YouTube, or Instagram. To reach fans and provide the same social media experience that British fans enjoy, we’ve turned to China’s three main online platforms – Sina Weibo, Wechat Official Accounts, and TenCent Video. Sina Weibo is China’s Twitter. It’s here that we try to bring an authentic atmosphere to Chinese fans. We have a team of dedicated Chinese reporters who regularly visit Stoke City and West Bromwich Albion to interview players and coaching staff. Timing these interviews is important – we take special care to produce interviews before Chinese holidays to better connect with fans. We also produce official videos and video interviews promoting the clubs. By running lotteries at home games with prizes that include match day programmes, scarves, and shirts, and by working closely with the media to provide exclusive articles and photos, we can bring this authentic atmosphere to the other side of the world. On Wechat Official Accounts, we post translations of official articles and write match previews and reports. The Wechat posts are linked to the clubs’ Weibo accounts, meaning this content reaches thousands of followers. We use TenCent Video as a strategic partner to display the weekly videos we produce with the clubs. By opening fanTV channels for each partner club and organization, we can able to effectively raise awareness and subsequently reach a greater number of subscribers and fans. With official videos and fanTV channels, we can engage millions of video users. On Weibo, Stoke City currently has 69,000 followers and West Bromwich Albion has 94,000, and each club’s page usually attracts 200,000 views and 400 responses every week. Most importantly, Stoke City and West Bromwich Albion gain, on average, over 2,000 new followers per week. In the future, we want to keep developing clubs’ social media presence to ensure we give fans engaging and varied content. To do so, we’ll increase our visits to clubs so we can generate even more exclusive content such as player interviews or lotteries to attract fans. We aim to increase cooperation with businesses to enable them sell their products in China and do offline activities to gather the fans. Fans have ideas too, and we’re listening. Fans want an information hub where they can find details on tickets, official merchandise, or where to direct letters to players. We’re exploring setting up a China Information Centre for clubs to meet this demand. A hub such as this will allow us to create deeper communication channels with the clubs, which will better serve fans and further develop the Chinese market in turn.